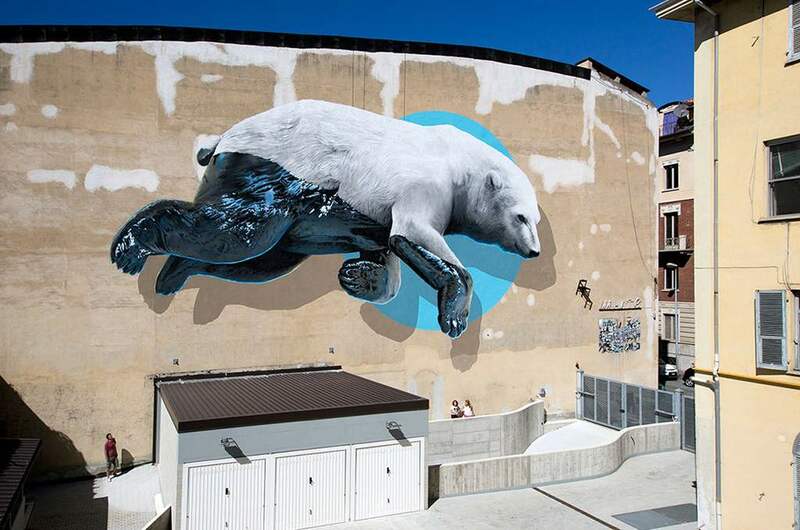 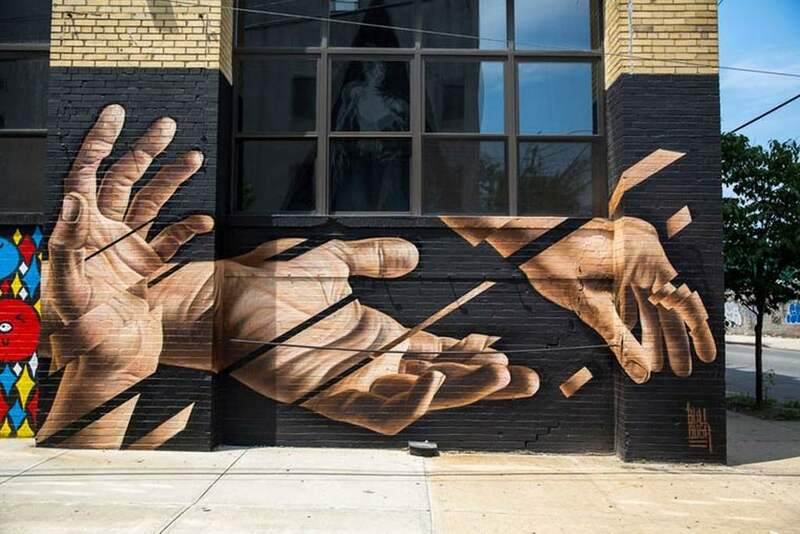 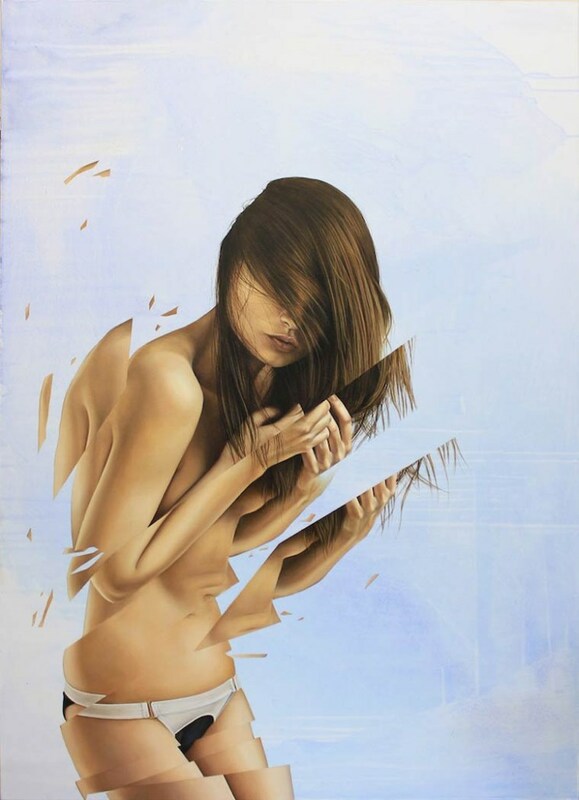 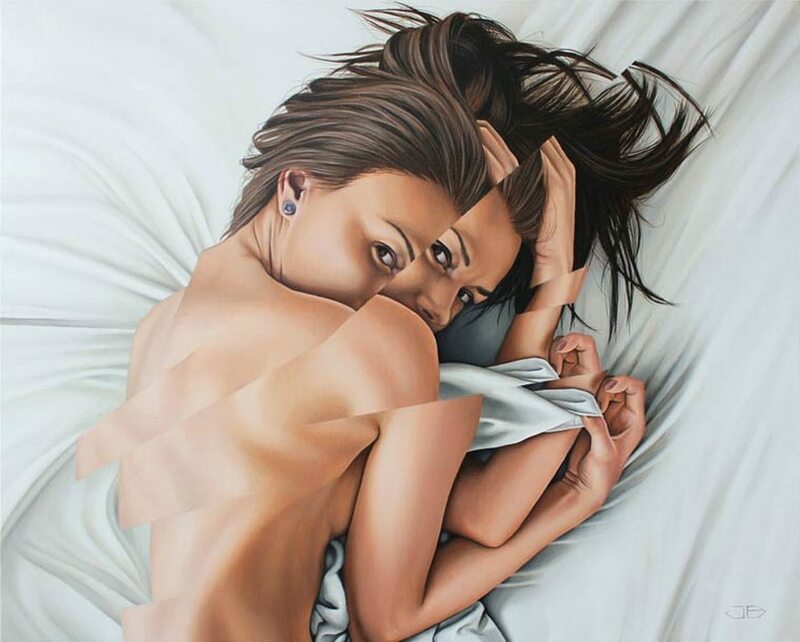 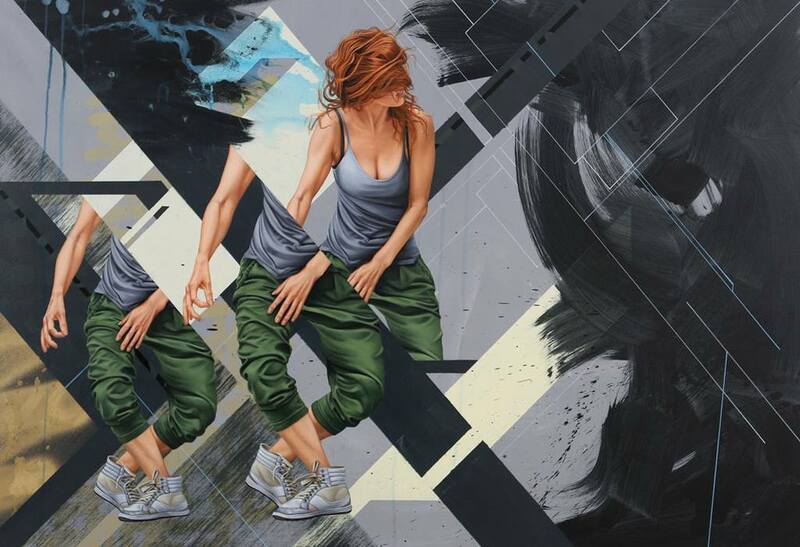 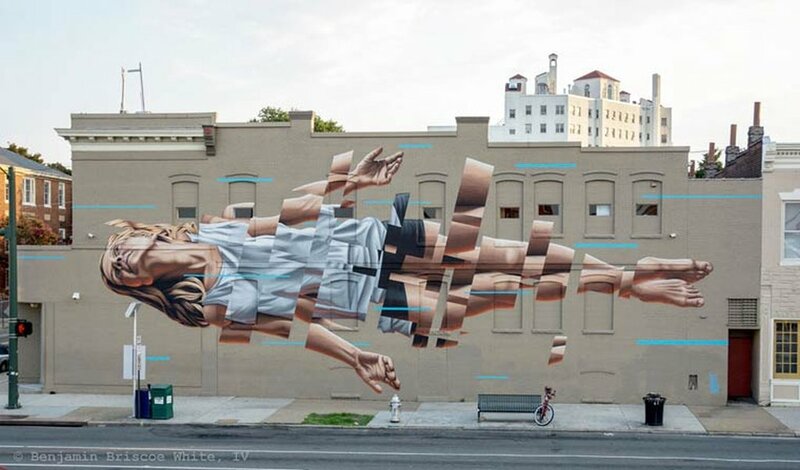 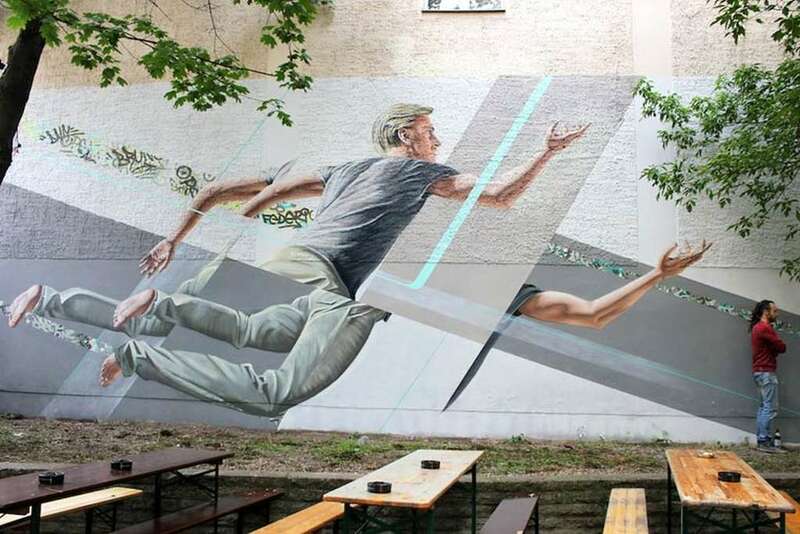 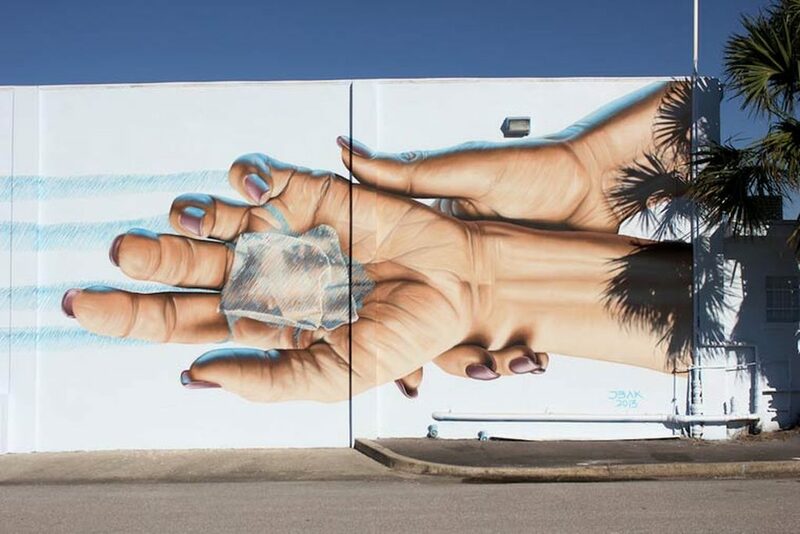 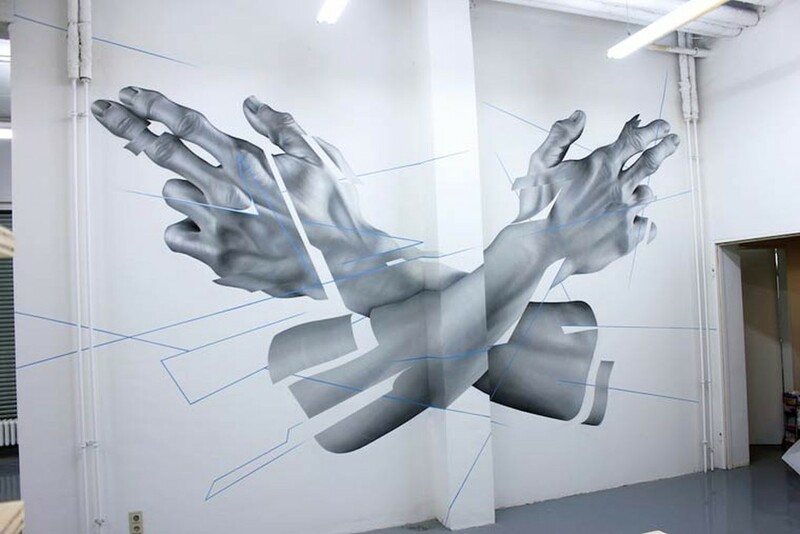 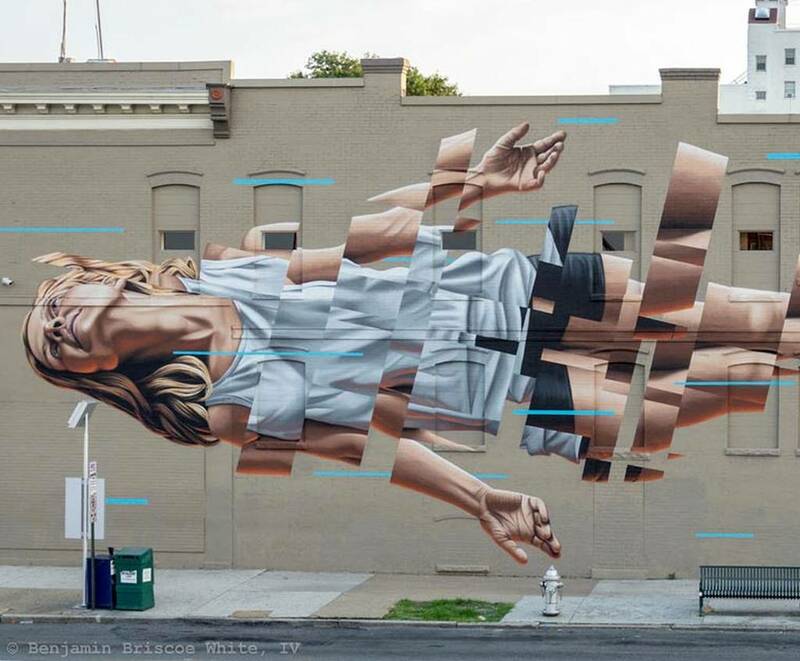 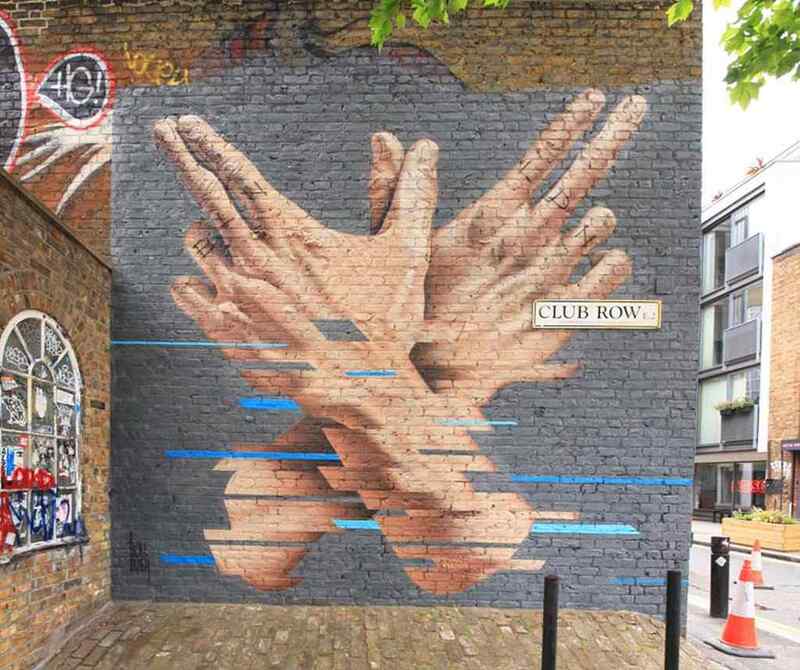 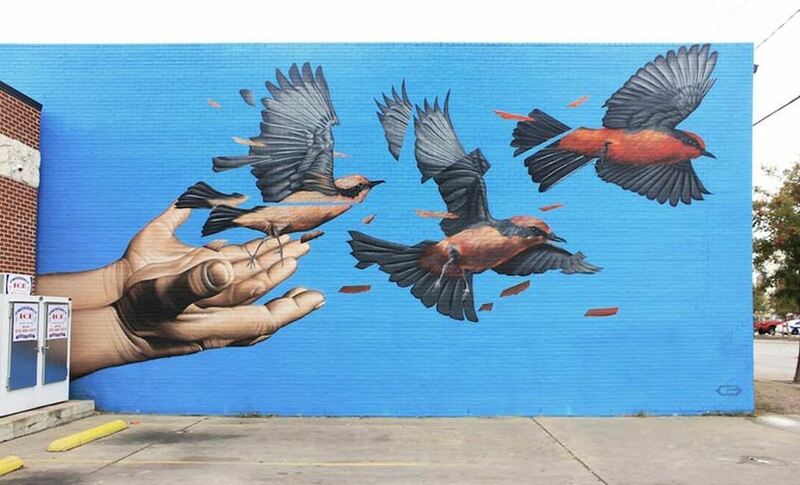 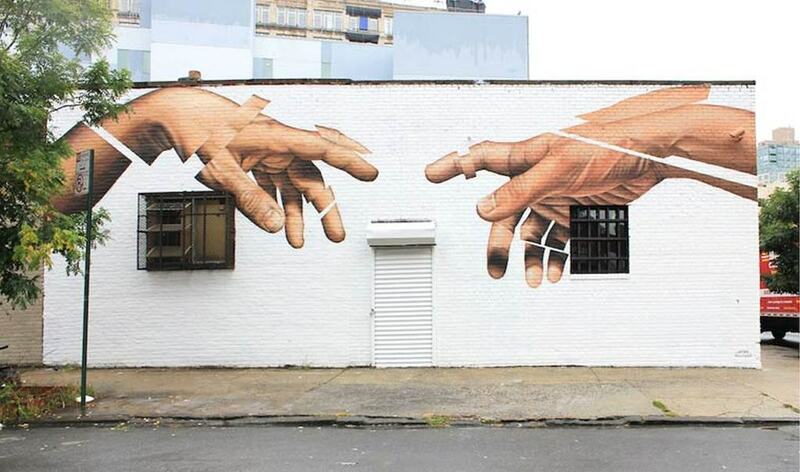 Today we are presenting a selection of street art creations and paintings by James Bullough. 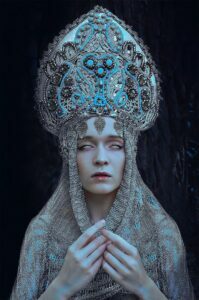 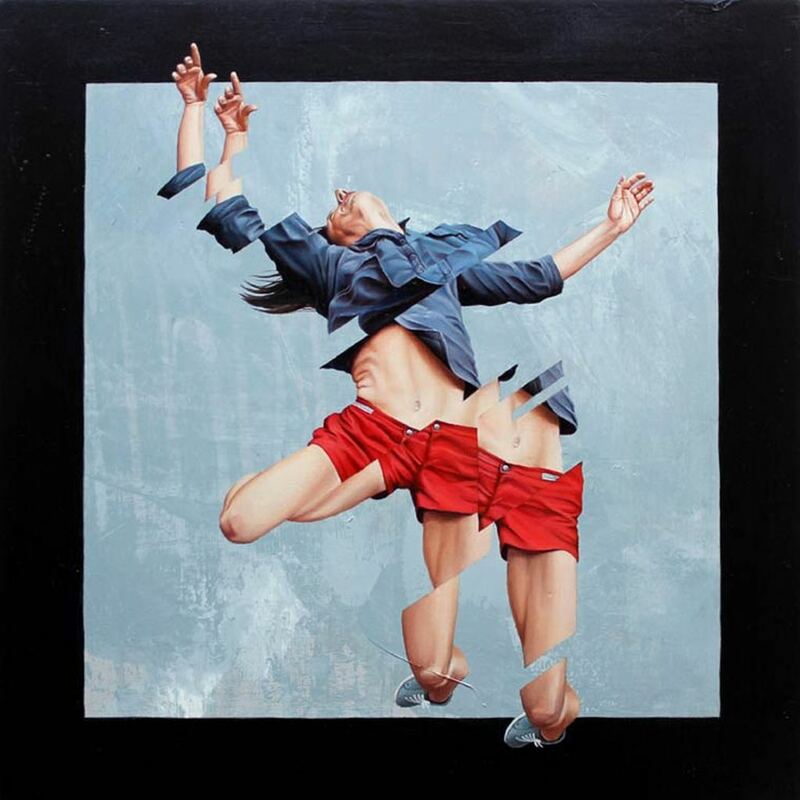 James is an American artist now based in Berlin. 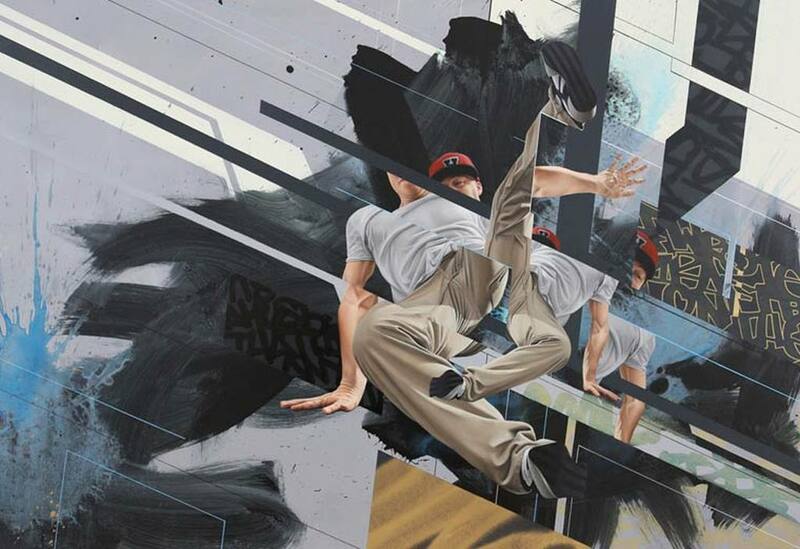 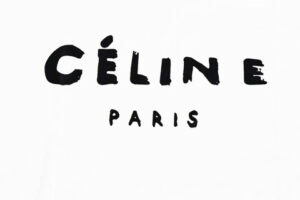 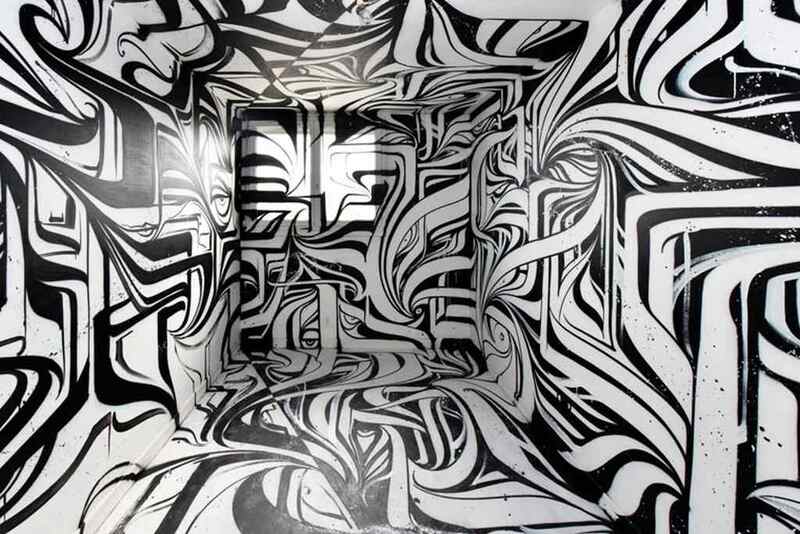 His paintings, and huge monumentally scaled site-specific murals, are phenomenal combinations of realist painting technique and graphic punctuation. 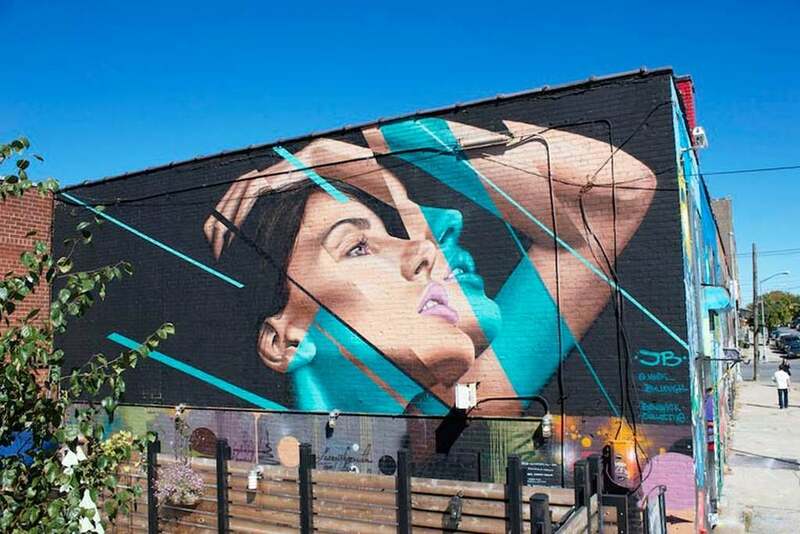 Bullough is taking his inspiration from gritty urban graffiti. 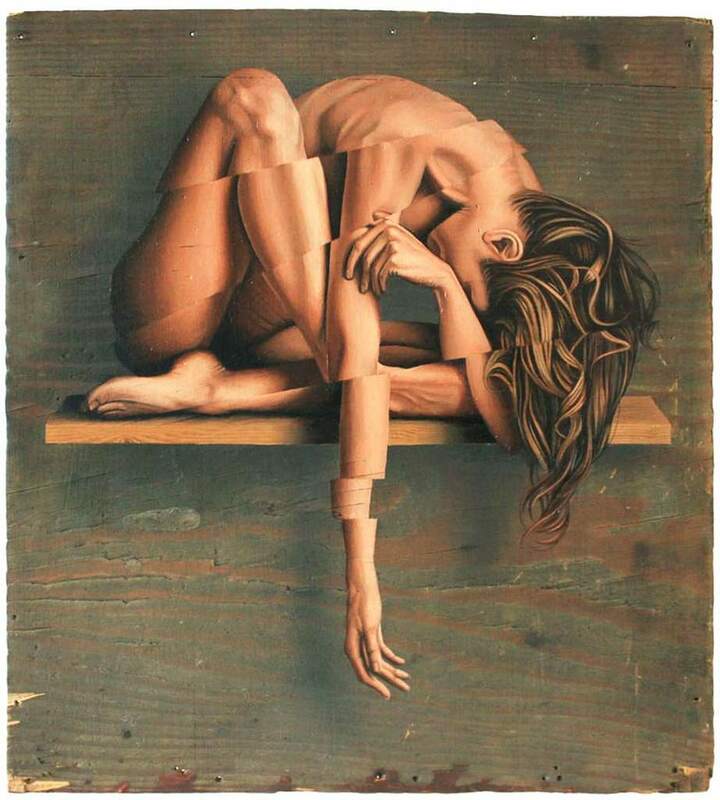 As growing up in Washington, DC he perfected a realistic oil painting technique from his study of the Old Masters. 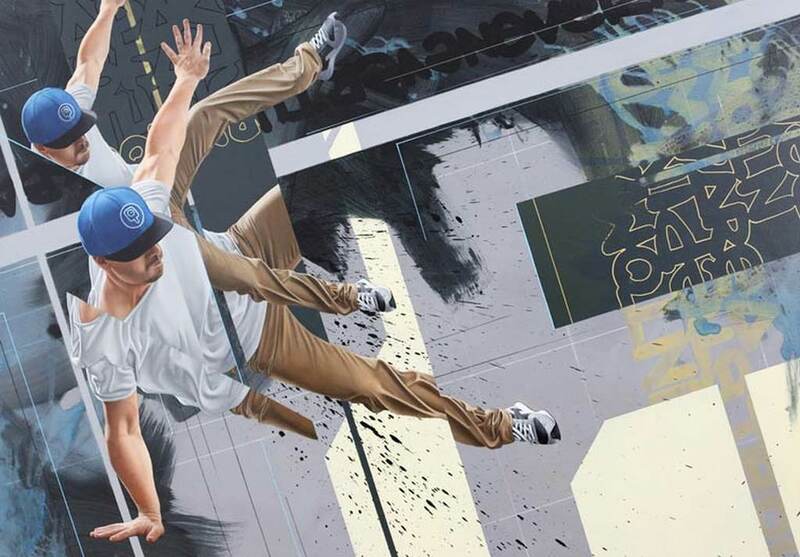 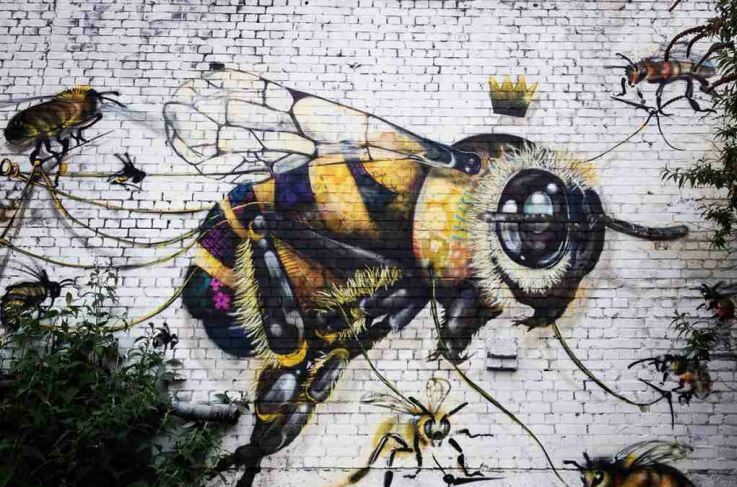 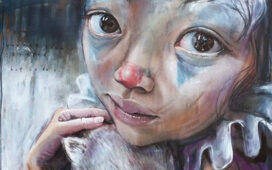 To achieve effects that you can watch below he is using everything from oil, spray paint and ink on canvas, Bullough’s paintings strike a balance between realistic figurations and stylized interruption. 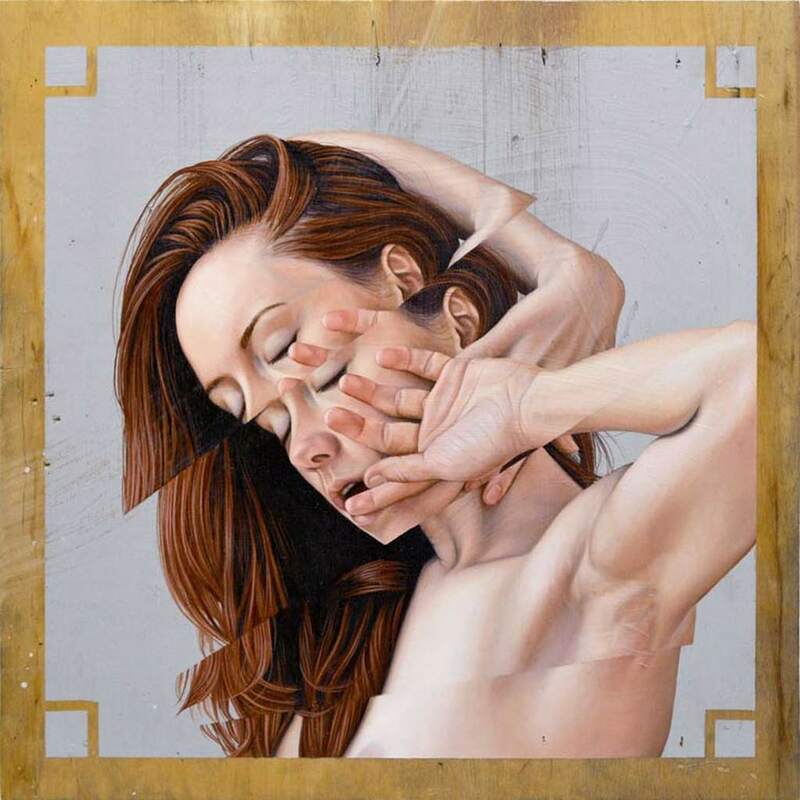 Disjointing the realistic elements with graphic areas and fractured or striated planes, Bullough intends to challenge the viewer’s perception.